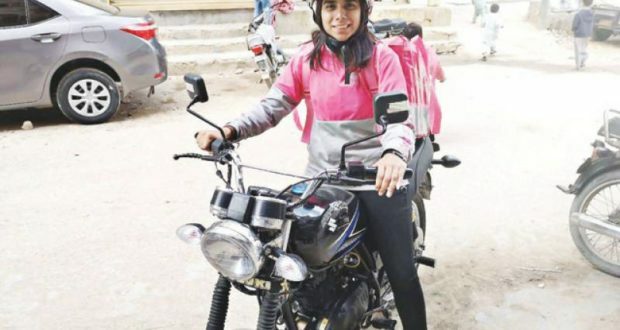 KARACHI- Rubab Jubani, Pakistan’s first-ever female food delivery rider is breaking all boundaries that make certain professions exclusive to men. Paving her way with resilience, the passionate and brave female rider has left behind all boundaries of society that heavily restrict women’s access to select professions. Rubab is now seen zooming on her bike around the streets, delivering hot and scrumptious meals to foodies. 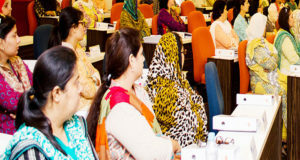 In a brief encounter with The Nation, Rubab talks about her experience. In a society that shuns the idea of women riding bikes and taking up jobs that have essentially belonged to men for ages, what inspired you to become a food rider? How difficult was it to convince your parents? 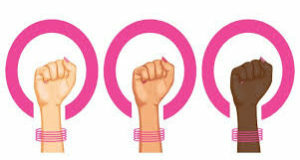 Living in Pakistan, the idea of women’s independence is regarded as being very opposed to society. I have always been passionate about riding a motorcycle. I grew up in a family where riding a bike for girl wasn’t any restriction. Before joining food panda, I was doing multiple jobs like being a photographer as a freelancer. I came across food panda rider delivery Ad and I thought to apply for it. My parents believe that girls should be allowed to earn themselves and in this way they can support their families as well. Do you think more female riders should join? What future do you see in this business? I think more women should join in food deliveries. This is 2019, where men and women are equal, and you should not be ashamed to earn yourself. It’s a career where, by delivering the food, we feel respected and the mindsets of Pakistani people are changing with passage of time. What advice would you give to female bike riders, who are planning to join this field, what are the challenges you face on daily basis? Rider usually face all sorts of customers, some are very welcoming and treat you very well. However, there are certain customers who are challenging and may act rude. I believe we should remain calm in such situations. Women riders may also face abusive language, staring eyes and negative comments but this is a part of the job. You have to be calm and deliver your work with a smile on face. It was exciting. We were trained at the hub, which involves making us getting ready to give superior customer services. We were taught focused guidelines and then asked to select our convenient shift timings. I got to the starting point the next day and it wasn’t a difficult job. Food panda’s staff was very helpful. The response I got was interactive and they liked the idea that a girl can be a food rider as well. I start my shift at any time convenient. I usually pick the morning to evening shifts. I have an app where I get notified for the food to be delivered from restaurants to homes. A typical day would include me going from restaurants to households to deliver food on my beloved motorcycle. Have you experienced any bad days on the roads? Riding in Karachi is always difficult as there is so much traffic on the road. Sometimes the roads are blocked such as the recent PSL days. At this point delivering food in time becomes extremely difficult but it’s our job to deliver the food within time. Tell us about your family and what did you study? 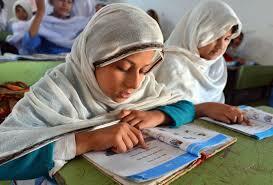 I come from a moderate family in Karachi and I have studied up to intermediate.